Our product range includes a wide range of safety reflective jacket, industrial jacket, safety net and polyester safety jacket. 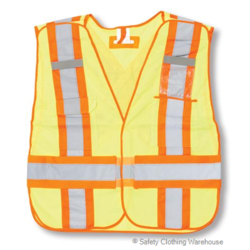 Backed by the vast industry experience and penchant for customer satisfaction we are offering premium quality Safety Reflective Jacket that is made from the best grades of raw materials that are procured from reputed vendors of the domain. These are 100% waterproof and flame resistant having a durable finish to offer a long service life. We maintain stringent quality control norms and offer a flawless product to our customers. We offer our clients with an array of safety goods, which comprises, Safety Net and rope ladder. Designed using superior quality , our safety nets can sustain heavy jerks. Highly recommended when working on a high altitude, like buildings, construction bridges, constuction towers and many more. 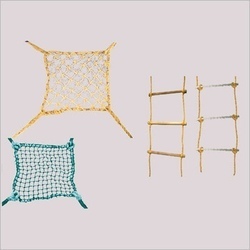 These safety nets are available in various sizes and can be bought at competitive prices. 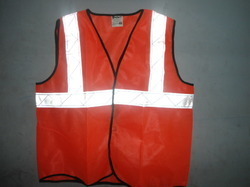 We are engaged in offering Polyester Safety Jacket. 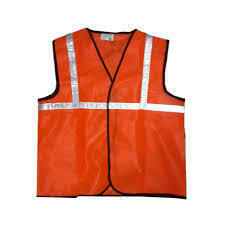 Looking for “Polyester Safety Jacket”?